Elegance and poise marks these great wines by Pepper Bridge. Located in a gorgeous country setting outside of Walla Walla, the winery is perched on a hill with stunning views of the estate vineyards —Pepper Bridge, Seven Hills and Les Collines, some of the famed vineyards in Washington. Head winemaker Jean-François Pellet, has a longstanding history in the Washington wine industry. A third generation wine grower, Pellet’s wines have received considerable acclaim. Pellet has degrees in both enology and viticulture and has previously interned in Germany, Switzerland and the Napa Valley. After graduating, he managed vineyards and made wine in Switzerland and Spain. Along with making wine in Spain, he was responsible for managing 500 acres of vineyards, designing a new winery and developing a market for the product. He then worked at famed Heitz Cellars for four years until he was recruited to work at Pepper Bridge. His new release wines were fantastic and maintained his trademark elegance but contained wonderful richness from these warm vintages. 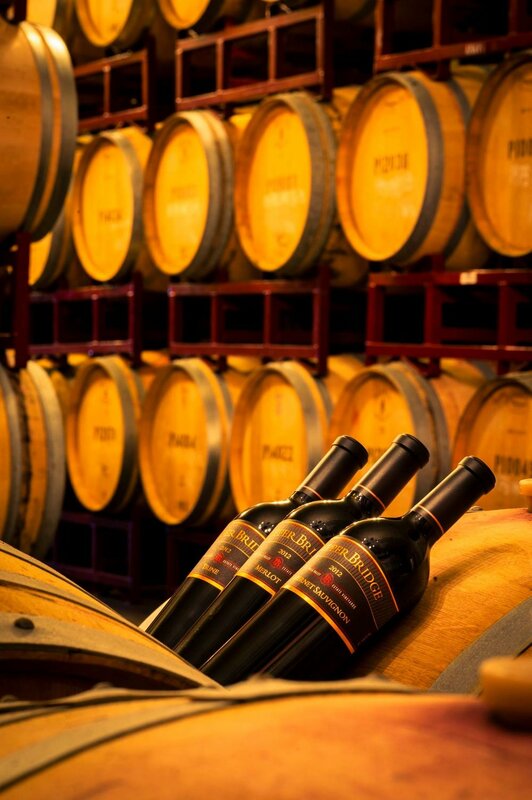 Look to the 2014 Pepper Bridge Merlot (WWB, 92) which has wonderful weight and tension. Pepper Bridge not only has a tasting room at their Walla Walla winery but also has a tasting room in Woodinville, not far from the center of town. Learn more about Pepper Bridge at www.pepperbridge.com. Here are the great new release wines from Pepper Bridge winery.